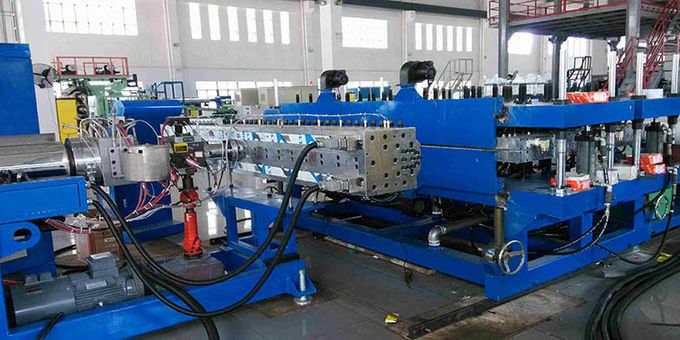 YAOAN Adopted suitable screw design and machine configuration, it is widely used in manufacturing PP or PC hollow profile boards of various specifications(Max. Width: 2500mm; Thickness range: 2mm-12mm). 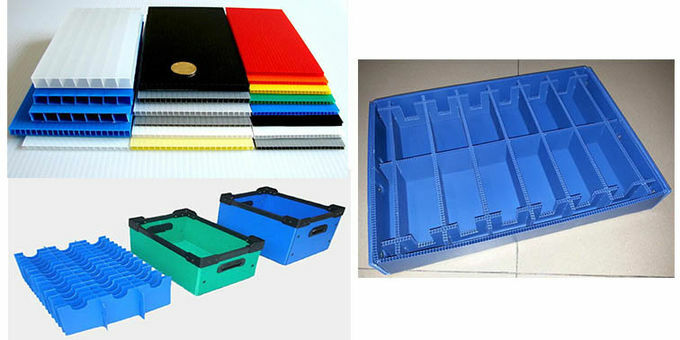 It is widely used in the fields of advertisement, decoration, sound-proof, packing. 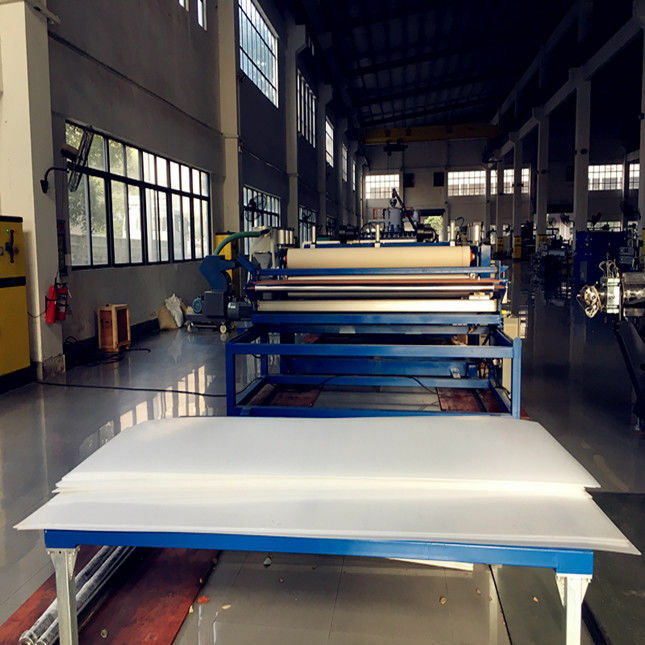 Because it is featured by light-weight, strong, damp proof, anticorrosive advantages, it trends to replace the paper carton gradually and become the first choice to make packing cases. 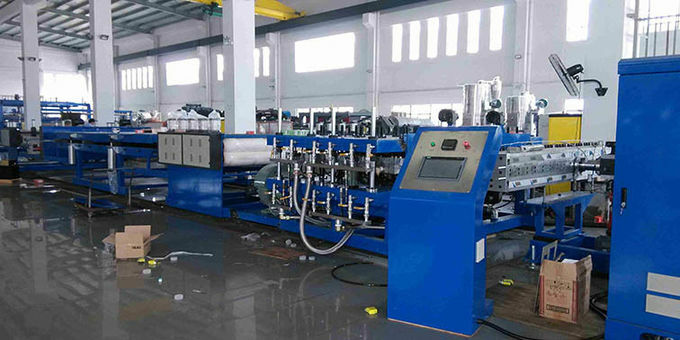 Extruder: The special designed screw and the advanced temperature control system ensure the good plasticizing, stable extrusion and high output. Screen changer: It is of hydraulic style fast screen changer and ensures the short course of the exchanging filters. Double filters and special leakage-proof structure guarantee its stable performance. Vacuum calibrator: The vacuum system and calibrating system including a heat-convection system array interleaved. This kind of design guarantees the high precise degree of the calibration. The vacuum system consists of two independent subsystems, which is equipped with many pieces three point type closed loop vacuum line. 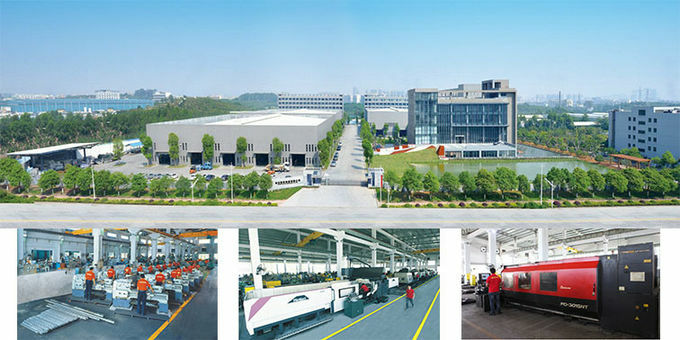 Each closed loop is equipped with vacuum regulating system and vacuum display system. This guarantees the good calibration and the smooth surface of the board. Take-off unit: There are two haul-off units. First one consists of multi-rolls and is driven by a strong motor with a speed reducer with a big gear ratio. 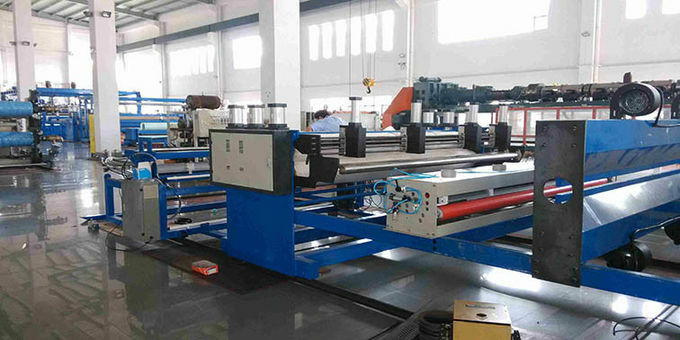 It has strong take-off strength and performs well at slow speed so that it can draw the board up from the calibrator evenly and synchronically. Second one is put after the infrared stabilizing oven. The slit unit fixed on the take-off unit ensures the smooth cut of the edges.